Onkyo USA recently acquired distribution rights for TEAC in the US and Latin America; their reps sent me a sample of the new crown jewel of TEAC’s entire product line, and the lead product of the company’s New Vintage and Reference 7 series: the NR-7CD network CD player and integrated amplifier-DAC. Unlike TEAC’s tiny Reference products, the NR-7CD is a full-size component, and it does pretty much everything. The NR-7CD is bold not only in its feature set, but also in its build quality and its price: $4999.99 USD. The fascinating thing about integrated electronics is that a manufacturer can include in a given model any and all features it sees fit. Some take the shotgun approach, trying to offer every connection and input under the sun and thus serve as many buyers as possible; others offer devices that better fit the specific desires of a more narrowly defined group of customers. Take a gander at the NR-7CD’s rear panel, and it becomes clear that TEAC has taken the latter approach. This digital-heavy device has only a single analog connection: a pair of RCA input jacks. There’s no phono input, or analog outputs to speak of. The NR-7CD is pretty, too, and proves its series name, New Vintage, apropos: There’s a rounded On/Off power toggle, two small VU meters, and copious use of brushed aluminum. The case measures 17.5”W x 6”H x 13.7”D and weighs 30 pounds, and comprises subtly curved aluminum panels bolted to the chassis; the top panel is completely devoid of unsightly fasteners. The large Volume and Source knobs offer good feedback, and the eight smaller buttons are satisfyingly clicky. 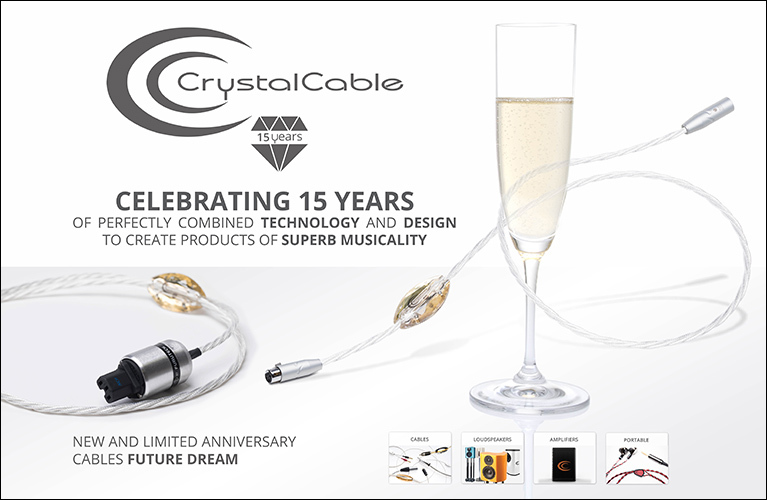 The gold-plated 6.3mm headphone jack, the brushed-aluminum CD drawer, and the three adjustable feet of polished aluminum lend the NR-7CD a classy, upscale feel and look seldom found at this price point. The only thing that doesn’t look particularly luxurious is the small blue alphanumeric display -- but given that this can be set to turn itself off, this integrated-DAC is one of the few for under $10,000 that I think would look at home in pretty much anyone’s listening room. It’s exceptionally well built. The NR-7CD has two ICEpower 50ASX2 class-D amplifier modules, one per channel, generating 60Wpc into 8 ohms or 100Wpc into 4 ohms. Fed a 1kHz signal, its total harmonic distortion is a minuscule 0.008% at 50W into 8 ohms. Having been unimpressed with other manufacturers’ ICEpower amps, I asked TEAC’s engineers why they’d chosen an off-the-shelf amp instead of designing their own. I was told that the amp’s size and shape and the complexity of the NR-7CD’s design made the Danish-made modules ideal for this application. The entire circuit -- DAC, preamplifier, and amplifier stages -- is fully balanced from start to finish for maximum sound quality, with each channel’s amp module and DAC chip mounted on opposite sides of one of two interior platforms of 10mm-thick aluminum. 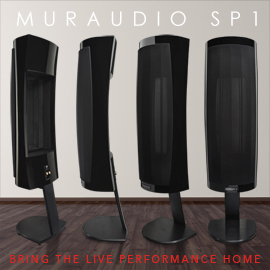 The NR-7CD boasts a signal/noise ratio of 110dB, and accepts 8- and 4-ohm loudspeakers. 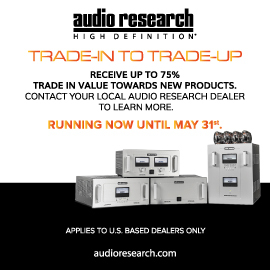 The NR-7CD uses two AK4490 D/A converters from Asahi Microdevices Corporation, one per channel, to process its many digital inputs, which include a CD player based on TEAC’s own CD-5020A transport, three S/PDIF connections (one coaxial, two optical), an Ethernet connection for streaming, a USB Type-A input for flash storage playback, and an aptX Bluetooth input. A USB Type-B input for playback from a computer is curiously absent. The dual-differential DAC accepts signals of resolutions up to 24-bit/192kHz PCM and DSD128 via its S/PDIF inputs, and 24/384 PCM and DSD256 through its USB Type-A and network inputs. The DAC automatically upsamples every incoming digital signal through its Refined Digital Output Technology NEO (RDOT-NEO) FPGA circuit to 24/384 PCM or DSD256, depending on the source. The NR-7CD has two onboard clocks, one with a 44.1kHz and one with a 48kHz crystal oscillator, making possible lower jitter regardless of incoming sampling rate. Its DAC lets users tailor the NR-7CD’s sound to their liking through the inclusion of four PCM digital filters and two DSD filters. The PCM filters include two finite impulse response (FIR) filters, one with a steep and one with a shallow rolloff. Two short-delay filters (SDLY), again with steep and shallow rolloffs, eliminate pre-ringing in the impulse response but include post-ringing. The two DSD options filter high-frequency output at 50kHz and 150kHz. The DSD filters sounded identical to me. The PCM filters were a different story. The FIRs sounded bright, regardless of what I played, while the SDLYs, while less bright, still had a prominent treble and a slightly exaggerated sense of space. All of the optional digital filters can be turned off -- a good thing, because I got the most natural sound from the NR-7CD using the default setting. There’s more: The NR-7CD lets users choose among sending incoming digital signals directly to the built-in DAC, or to upconvert them twofold, fourfold, or eightfold. DSD signals, too, can be upconverted. The TEAC even accepts MQA, though only via its Network input, which defaults to 4x upconversion. Clearly, TEAC’s DAC is no afterthought. Neither is the built-in headphone amp, which makes 500mW into a 32-ohm load; TEAC claims that the NR-7CD can drive even headphones with an impedance of 600 ohms. The remote-control handset has a brushed-aluminum surface and all the controls you need to operate the NR-7CD’s CD player, digital inputs, and settings. I was able to adjust the brightness of the pale-yellow glow of my review sample’s VU meters to be unobtrusive at night. They can also be turned off, though I have no idea why anyone would want to -- they’re impossibly cool. I was also able to turn off the display, adjust the filters, and try all upconversion options. TEAC warrants the NR-7CD for one year. Pretty disappointing. With the NR-7CD able to do so much, I used it in a variety of ways. I began by hooking it up to my network via its Ethernet input, and used TEAC’s HR Streamer iOS app (Android is available) to stream music via Tidal HiFi and Qobuz. The app’s interface is a little clunky -- it took me longer than I’d like to admit to figure out how to play an entire album or playlist instead of a single song. It was bulletproof, though, with no dropouts or stuttering. When I streamed MQA via Tidal HiFi, the NR-7CD duly displayed “MQA” on its little screen. I don’t have a NAS/UPnP, so I couldn’t test that functionality. I also hooked up a Google Chromecast Audio, which is a Roon Endpoint, to one of the TEAC’s TosLink inputs, so that I could direct my Roon Core to it. This let me use my Intel NUC music server, despite the NR-7CD’s lack of a USB input. I also verified that the TEAC’s Bluetooth input and headphone outputs worked -- the latter sounding quite good with my NAD Viso HP50 headphones. Finally, to test the NR-7CD’s analog circuit, I used my music server with a Benchmark Media Systems DAC3 HGC digital-to-analog converter plugged into the TEAC’s RCA inputs. The NR-7CD partnered with my KEF LS50 bookshelf speakers, mounted on generic 24”-tall stands and connected with DH Labs Q-10 Signature speaker cables. Scansonic’s M-40 floorstanding loudspeakers also saw time with the TEAC, which was connected to my Emotiva CMX-2 power strip via a Nordost Blue Heaven power cord. 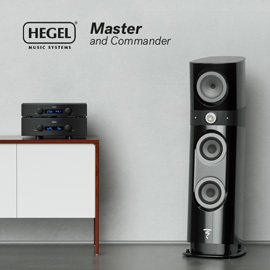 What’s so impressive about TEAC’s new flagship model is its comprehensive design. While the HR Streamer app was merely OK, most every other aspect of the NR-7CD was perfect. The dials had good resistance and were solidly weighted. The buttons on the front panel had an upscale look and feel -- Lexus-like, actually. 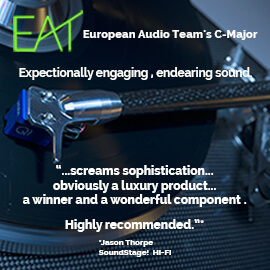 Even the CD tray’s slow, deliberate advances from and retreats back into the machined-aluminum faceplate, making a well-damped, nonplastic sound as it did so, were satisfying. Every button on the remote and every onscreen menu and item is necessary and all are intuitively organized. This product reeks of careful consideration and flawless execution. It was no surprise to learn that the NR-7CD is made in the same factory as its far costlier Esoteric cousins. The NR-7CD’s sound complemented its look and feel: pristine high quality. I’ve yet to hear a class-D amplifier that didn’t add an extra dollop of air and sparkle in the treble, and the NR-7CD continued that trend. It rarely sounded bright -- at least, not with its FIR filters disabled -- but its sound was remarkably clean and extended. Every track sounded big through both my KEF minimonitors and Scansonic’s M-40 floorstanders, the latters’ ribbon tweeters accentuating this aspect of the TEAC’s sound. The NR-7CD’s low noise floor no doubt contributed to this quality -- it’s one of the quieter amps I’ve had in my listening room, a testament to its well-engineered switching power supply. Seattle-based indie electronic group Odesza was in heavy rotation during my time with the NR-7CD, and the latter’s reproduction of “Higher Ground,” from Odesza’s A Moment Apart (16/44.1 FLAC, Counter/Tidal), had an immediacy and bite that lent itself to the punctuality that characterizes so much modern electronica, including this. I loved this track’s air and reverb through the TEAC -- it sounded enormous in my long, narrow listening room. I was also taken with the lazy falsetto of guest singer Naomi Wild -- it was superdetailed, with excellent stereo imaging. The bass line was similarly impressive, the NR-7CD exerting above-average control over my KEFs’ 5.25” midrange-woofers. At low to medium volume levels I was seduced by the TEAC’s multitude of talents; its synchronized routine with my LS50s produced a sound as transparent as mountain spring water. But as I increased the volume, Wild’s voice turned hard, transients grew brittle. This was perhaps as much a function of power limitation as inherent sonic character. Like some other digital amps I’ve heard in the past several years -- including several I’ve dubbed Reviewers’ Choices -- the NR-7CD’s uncommon transparency meant that brighter recordings could sound uncomfortably bright. At the same time, those other amps exhibited an effortlessness in the highs that allowed voices like Wild’s to sail into the upper atmosphere. The TEAC hit similar heights, just less gracefully. Careful loudspeaker matching -- perhaps something a bit warmer or more musical sounding? -- might well produce a lovely synergy. To hear how dependent on the recording the NR-7CD’s sound was, I then turned to Songs of Angels: Christmas Hymns & Carols, with Robert Shaw leading the Robert Shaw Chamber Singers (CD, Telarc CD-80377). This 1994 CD was played every Christmas during my youth, providing the soundtrack to the twinkling Christmas tree and crackling fire that warmed me those cold December nights. Feeling wistful and a little nostalgic for a more innocent time, I played “God Rest You Merry, Gentlemen.” The 49 voices of the Chamber Singers sounded lush, with a bloom that pulled me straight back to the mid-1990s -- though, to be fair, much of this quality is in the recording itself. I could easily hear and “see” the choir spread out before me, the tenors crooning from the right, the sopranos at far left. There was also a delicacy to the sound -- with a big choir recorded in what sounds like a sizable, wood-beamed chapel, details can be easily obscured. They weren’t. While the NR-7CD’s sound didn’t have much intrinsic midrange warmth and body, I found myself replaying the first 80 seconds of “Death and All His Friends,” from Coldplay’s Viva la Vida or Death and All His Friends (16/44.1 ALAC, Parlophone). I couldn’t get enough of Chris Martin’s soft, closely miked voice and the simple electric guitar melody that follows. The stereo imaging was excellent for the TEAC’s price, with terrific spatial definition, while the tonal balance felt more neutral with this track than the Odesza -- Martin’s voice had healthy texture and weight. The NR-7CD was a champ in quiet passages such as this, letting me hear into all the nooks and crannies of the recording -- the impacts of the piano’s felt hammers, the fine vibrations of the guitar strings, the sibilants sung by Martin. The NR-7CD was a precision instrument -- in terms of retrieving low-level detail, it’s one of the best amps I’ve heard for $5000 or below. And it could rock. I put on “Spitfire,” from The Prodigy’s Always Outnumbered, Never Outgunned (16/44.1 ALAC, Sony Music), and enjoyed this British electronic group’s return to the feel of unfiltered punk. Between the howls of guest performer and actress Juliette Lewis, the raucous drum loops, and the thunderous bass-guitar chords under it all, this track has plenty of anger and fire, and the TEAC had little difficulty disentangling it all. This amp did dynamics in a big, big way, and was almost preternatural in its handling of transient attacks and decays, lending “Spitfire” a raw, pacy feel. Though I lusted for more body and dimensionality, that didn’t keep me from reveling in the NR-7CD’s impeccable timing and rhythm. Keith Flint, the band’s late (and iconic) front man, would certainly have approved. NAD’s M32 DirectDigital integrated amplifier-DAC ($3999), which I reviewed in 2017, offered many points of comparison with the NR-7CD. Like the TEAC’s, the NAD’s case is made of panels of solid, brushed aluminum, and the M32 includes a digital amplifier and a raft of digital inputs (including USB, which the TEAC lacks). Add the optional BluOS module ($399), and the NAD gains streaming and Bluetooth connectivity. Also like the NR-7CD, the M32 has heroic build quality for the price. But with its power outputs of 180Wpc into 8 or 4 ohms, the NAD is considerably more powerful than the TEAC, and also offers a moving-magnet phono input. The NR-7CD counters with a more classic look punctuated by those twin VU meters, a CD transport (the NAD has none), and selectable digital filters. The two amps sounded remarkably similar. Each had an immaculately clean sound that seemed to leap from the speakers without hesitation, and boasted a precision of musical intent that the far more common class-AB amps that litter the market below $5000 can’t quite muster. Like the TEAC, the NAD lacks any semblance of midrange bloom: you’ll get detail and articulation in abundance, but an absence of warmth. Soundstaging was also a treat through both amps -- each cast stages of great depth in my narrow listening room. In fact, the only parameter that distinguished one amp from the other was in their control of the highs. As I raised the volume with the TEAC, I felt that my KEF LS50s’ tweeters turned a smidge tetchy. 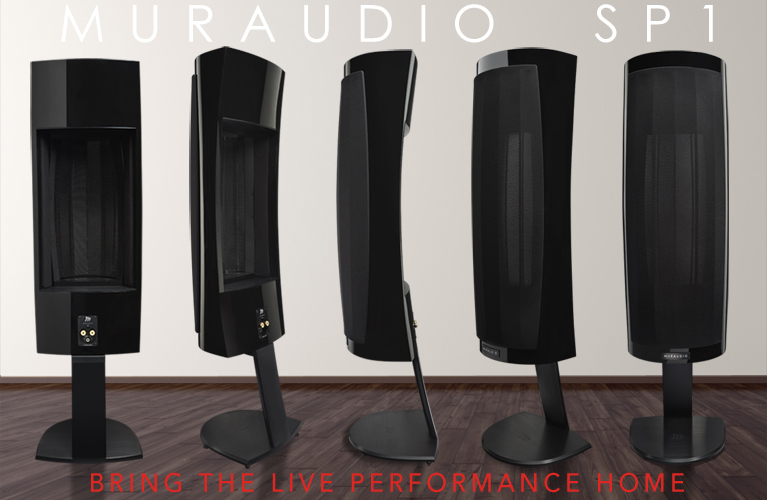 The NAD reproduced the treble range with effortless smoothness even at extremely high volumes. I can’t be sure if this was a function of power -- the NR-7CD’s 60Wpc and my LS50s’ 85dB sensitivity isn’t exactly an ideal pairing -- or just the TEAC’s inherent character, but it should be a consideration for potential buyers. Ultimately, both amplifiers are standouts. Vinyl guys should opt for the NAD M32; those with big CD collections should go for the TEAC NR-7CD. It’s hard to go wrong with either amp. TEAC’s Reference NR-7CD is an eminently cool piece of gear. Its materials and build quality are outstanding, and its dual VU meters hark back to hi-fi’s golden era. Its sound, however, trades the inviting warmth of TEAC’s old-school amps for something far more focused and forensic. The NR-7CD is incredibly transparent to the source material, allowing for the reproduction of huge soundscapes, and unearths the most minute musical details. While its high-frequency output isn’t the most refined I’ve heard, and its 60Wpc output into 8 ohms is fairly modest, careful matching of TEAC’s new flagship amp with the loudspeakers could yield excellent results. Considering its strong implementation of streaming, with native Tidal and Qobuz support, as well a CD transport designed and manufactured in-house, this network CD player and integrated amplifier-DAC has few direct competitors. If you’re a digital-heavy audiophile on the prowl for the ultimate one-box solution, TEAC’s NR-7CD could be just what you’re looking for.